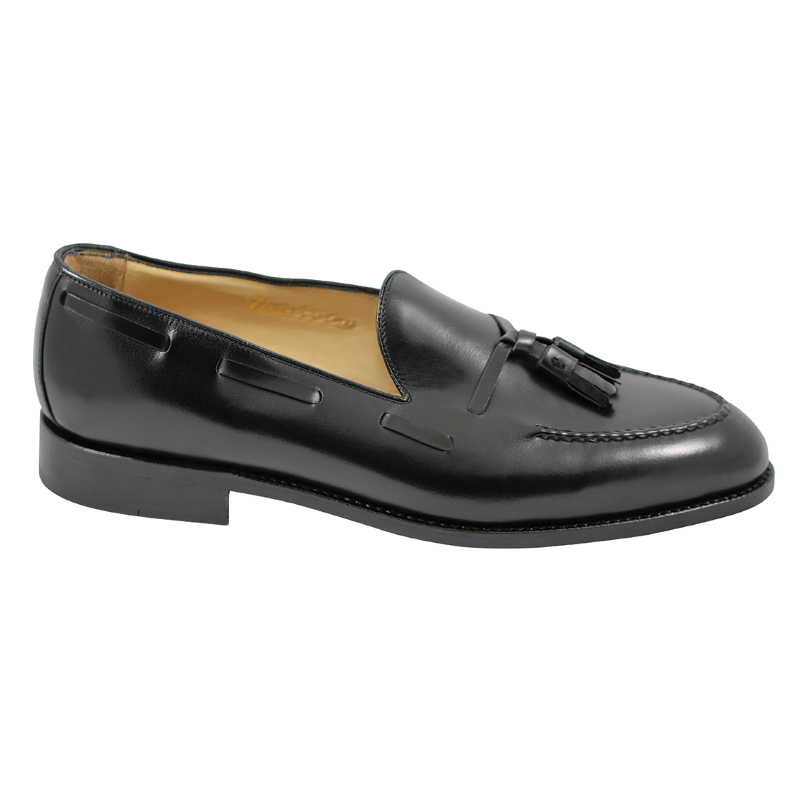 Stunning one piece leather gives beautiful lines and consistency to these classic and timeless Goodyear Welted calfskin tassel loafers. Full leather lining for comfort, and leather sole with stacked heel. Nettleton patented the word "loafer" in the 1930's and this style like the Savannah, encompasses that original loafers attractiveness and versatility. Available in Rosso Brick, Black, and Tan Suede. Handmade in Belgium. This is a limited time Spring Sale, good only while limited quantity lasts. Nelleton has been making sharp well made shoe for a long time I bought my first pair back in the 60's, I had a pair simular to the Barrington,the only difference was they had an elastic side band,sharp shoe.